Moliets Plage Surf Camp - Moliets Et Maa, Les Landes Ogólna ocena gości: ★★★★★ 4.5 oparte na 2 opinie. Messanges Teens Surf Camp - South Beach, Landes coast Ogólna ocena gości: ★★★★★ 5 oparte na 3 opinie. 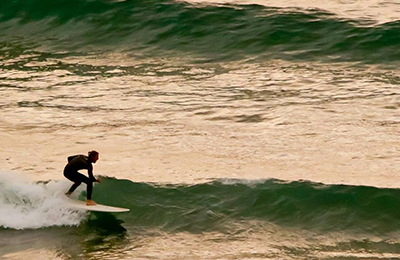 Why not experiencing the fresh and exciting sensations of surfing? 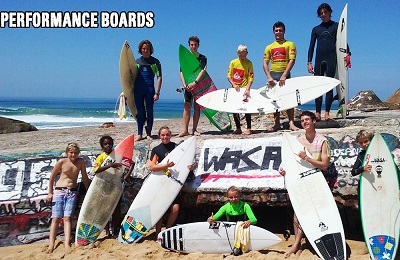 Why not improving your performance on one of the best surf spot of the French Atlantic coast? We have a team of experienced instructors wishing to offer you top quality teaching, an efficient organization and a warm welcome! 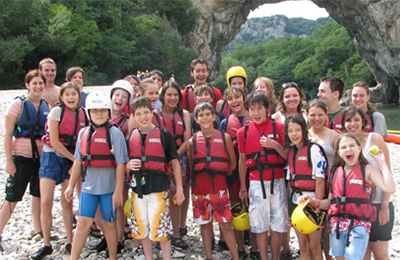 Ardèche river Teens Adventures Camp - Chasselay, Salavas Ogólna ocena gości: ★★★★★ 5 oparte na 3 opinie. Morzine Teens Language & Adventures Camp - Haute-Savoie, Auvergne-Rhône-Alpes Ogólna ocena gości: ★★★★★ 5 oparte na 3 opinie. Surf & Yoga Camp - Moliets, Landes Ogólna ocena gości: ★★★★★ 5 oparte na 6 opinie. 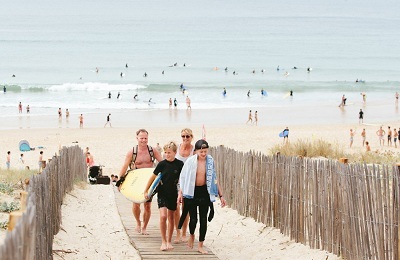 Our Deluxe Surf & Yoga Camp in the vibrant town of Moliets in the beautiful southwest of France is the perfect mixture of surfing and living the good life. Be ready to surf all day and meet great people from all over Europe! 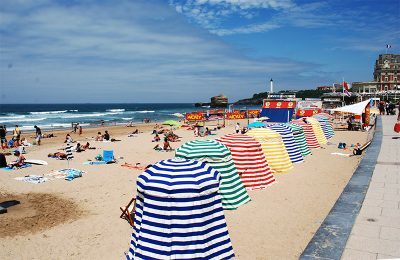 White beaches, great waves, lots of hammock chilling in the blazing sunshine and glorious nights out in San Sebastian, expect your summer to be exciting and extraordinary! Mimizan Surf Camp - Mimizan-Plage, Les Landes Ogólna ocena gości: ★★★★★ 5 oparte na 2 opinie. Mimizan Hotel & Lodge located on the riverfront only steps away from the beach, it is sandwiched between the forests and the sea. It is a classic basque home from the outside, but with bohemian comfort inside. Crammed with Scandinavian touches, big sofas, a huge fireplace and quirky treasures from around the world, its décor blends in perfectly in this region that loves its tradition. Montpellier Teens Language & Adventures Camp - Montpellier, Mediterranean Sea Ogólna ocena gości: ★★★★★ 5 oparte na 5 opinie. French Alps Savoy Lake of Annecy Language Hotel - Megeve, Mont Blanc massif Ogólna ocena gości: ★★★★★ 4.8 oparte na 5 opinie. French Alps Winter Teens Snowboard Camp - Megève, Haute-Savoie Ogólna ocena gości: ★★★★★ 4.6 oparte na 5 opinie. Teens Language & Adventures Camp - Monte Carlo, Monaco Ogólna ocena gości: ★★★★★ 5 oparte na 1 opinie. Teen Language & Adventures Camp - Nice, Alpes Marítimos Ogólna ocena gości: ★☆☆☆☆ 1 oparte na 4 opinie. Teen Language & Adventures Camp - Cannes, French Riviera Ogólna ocena gości: ★★★★★ 5 oparte na 4 opinie. Teen Language & Adventures Camp - Antibes, French Riviera Ogólna ocena gości: ★★★★★ 5 oparte na 3 opinie. Mimizan Family Surf Camp - Mimizan Plage, Les Landes Ogólna ocena gości: ★★★★★ 5 oparte na 1 opinie. Awesome atmosphere in the camp, big Chill Out area available with hammocks and lounge, slake line, play tipi for the kids and trampoline. For surfing, you will use the best surfboards, skimboards, and bodyboards. In between surf session you can also participate in other activities surf as beach volleyball contest. Hossegor Surf House - La Savane, Les Landes Ogólna ocena gości: ☆☆☆☆☆ 0 oparte na 0 opinie. Right Time, Right place! Our Beach House is located just behind the dunes, a short walking distance to go surf(3 min). We provide different services from the beach rental apartment to the full package with coaching and meals. Our intensive program will make your surf better: our coaches will help you progress quickly through appropriate exercises, followed by video analysis and advice. In a warm and sporty atmosphere, the Beach House is waiting for you! Moliets Plage Surf Camp - Moliets Et Maa, Les Landes Ogólna ocena gości: ☆☆☆☆☆ 0 oparte na 0 opinie. 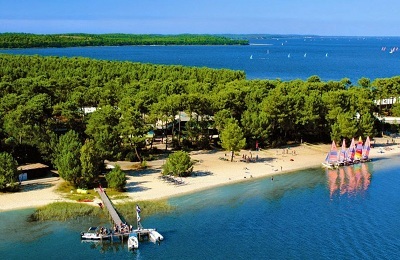 Dreamsea Surf Camp France is situated in Moliets Plage in the south west of France. If you come to Dreamsea France it is because you carry a young soul and wild spirit inside. 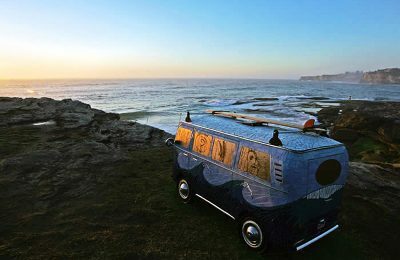 Here you will find the mood for surf, adventure, party and energy, every week. 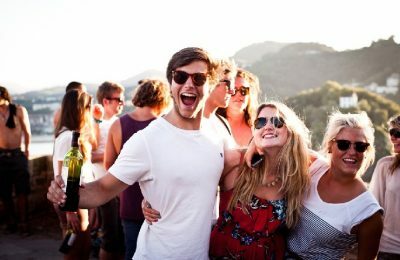 There are no strangers here, just friends you haven’t met yet that are always surfing, skating, dancing, playing music and having fun! Are you a wild soul but you like to read a book, sleep in a hammock or just enjoy the sound of the birds? 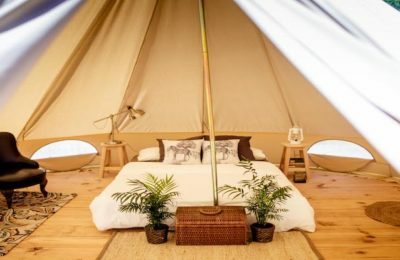 You can choose to stay in our brand new glamping area with fully furnished tents strategically placed in the peaceful camp outskirts. Basque Country Family Surf Camp - Montalivet, Bordeaux Ogólna ocena gości: ☆☆☆☆☆ 0 oparte na 0 opinie. The Basque Country Family Surf Camp offers tons of activities, healthy food, and great accommodation — with free WiFi. Stay at our TIPI tents that come with a comfortable bed, wardrobe, other living furniture, a bath, and toilet. Learn how to surf, play volleyball, participate in yoga classes, request a vegetarian/vegan breakfast, and more. Have fun with other guests during our karaoke party or just simply relax while watching surf movies during our movie night. Your pets can come along too! 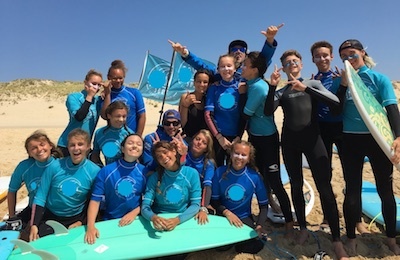 Le Porge Ocean Teens Summer Surf Camp - Bordeaux, south-western Ogólna ocena gości: ★★★★★ 5 oparte na 2 opinie. A 100% Nature surf spot, a beautiful beach, a 15 minute walk from the campsite, small group of 16 young people at the maximum, to spend a friendly week, in surfing lessons as in daily life on the Surfcamp, a maximum adaptation to the conditions of waves, to surf at the best moments (depending of the tides and the swell). Hossegor Surf Hostel - Les Landes, Aquitaine Ogólna ocena gości: ☆☆☆☆☆ 0 oparte na 0 opinie. a large outdoor chill area with hammocks and sofas to relax, dining area and pool table. In the corner is a bathroom and also an outside shower for after beach time. Private and shared rooms available. We offer a variety of wetsuit, boards and skateboards for free. As well as chilled happy vibes and welcome guests and surfers from all around the world.